The story of Private Tunnel starts with James Yohan and Francis Dinha, the founders of OpenVPN Technologies Inc. 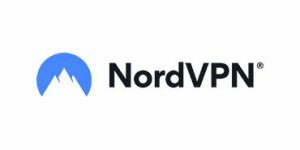 They achieved massive success with their award-winning OpenVPN project in 2002 and launched their company to enrich its further development. 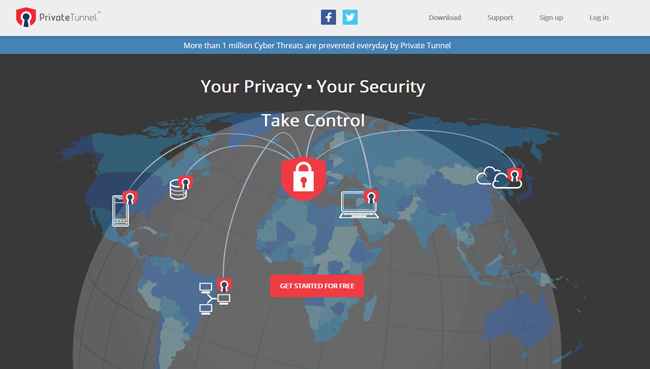 We look at Private Tunnel more like an online privacy initiative rather than your ordinary VPN provider. The tried and true team behind it incorporated enhanced software and networking, with state-of-the-art technology and unique features. Private Tunnel was created to provide its users with optimized security, protected communication services, and reliable connectivity. We’ve put the service under heavy scrutiny and will relay the complete results in this dedicated Private Tunnel review. Private Tunnel’s client is very clean and functional but it leaves much to be desired in the aesthetics department. The overall appearance just looks dated and the color scheme is somewhat unpleasant to look at. You cannot customize the client, which further adds to the already underwhelming experience. Luckily, once you get past the appearance, you can see a very streamlined and easy-to-use VPN client. It works really well, especially if you just want a quick server connection. The main screen will inform you of your current profile, the region you’re connected to, and your acquired IP address. The bottom part of the screen features a prominent Connect button and the top right corner holds the settings menu. We connected to numerous random servers throughout our testing circuit and can report mediocre results. The speeds were generally inconsistent between different servers, with the US server offering somewhat better results than all the others. We experienced constant disconnects when trying to connect to the UK server and weren’t able to get satisfying results due to persisting connection interruptions. Servers in Germany and Hong Kong also showed underwhelming results compared to our initial expectations. All in all, our speed-testing phase yielded poor to mediocre results when it comes to average server speed. We would definitely like to hear more opinions, so you’re more than welcome to contact us and relay your experiences as well. Private Tunnel supports Windows, Mac, Android 4.0+, and iOS 6.1+. It can also work on Linux, but this requires prior knowledge and experience with the command line interface. You can also make Private Tunnel work on a variety of different operating systems and devices by downloading configuration files and doing some extra work. 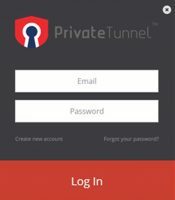 While researching for this Private Tunnel review, we tested the VPN on our PC and Android smartphone and the installation was done in just a few minutes without any difficulties in the process. Some years ago, there were mentions of implementing support for Blackberry and Windows Phone, but that hasn’t happened yet. Private Tunnel offers only a handful of server locations, including the US, Germany, Hong Kong, Sweden, Canada, Japan, etc. This isn’t enough for a worldwide coverage, so you may not be able to connect from your geographic location, depending on where you are located. We also weren’t able to access Netflix using Private Tunnel, so you should probably look for alternatives if streaming is your main reason for purchasing a VPN. If you decide to go premium, you’ll have unlimited data access and keep 3 or 4 simultaneous connections. The service also comes with unlimited server speed. Private Tunnel uses the OpenVPN protocol exclusively. This means you won’t have the option of connecting with PPTP, L2TP/IPsec, and SSTP. This is not a downside in our opinion since we always recommend using OpenVPN. 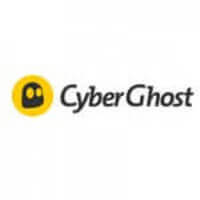 The service is located in the US, which can be a deal-breaker for some VPN users. Although the US doesn’t have any mandatory data retention laws, it is home to the CIA and NSA, which are notorious for their warrants and gag orders. In other words, the US is definitely not a friendly place for VPN services. Private Tunnel uses AES-GCM cipher with 128-bit keys, which is rather weak according to modern standards. AES-256 is considered to be the strongest cipher currently on the market as it still remains “uncracked” by the authorities. You can visit the site anonymously, but if you decide to register, you’ll be prompted to provide your name, email, phone number, and payment details. Private Tunnel will collect this information and record it into its database. The recorded data is protected via SSL technology, but we would be much happier if the company didn’t record any logs in the first place. You can contact Private Tunnel’s support staff via email or live chat, which is a decent set of options. User support business hours are Monday-Friday 9-5 PST. The FAQ on the official site is rather small and doesn’t offer much, to be honest. The answers are usually very vague and generic without going into many details. The support staff is very quick with answers, but those staff members we talked to while doing research for our Private Tunnel review wasn’t all that knowledgeable when it comes to the topics we wanted to discuss. Fixed (6$ monthly; 35$ yearly) – Unlimited data access; up to 3 simultaneous connections. Flexible (6$ monthly; 35$ yearly + fees for additional devices) – Unlimited data access; 4th connection available for an additional fee. As a new user, you can subscribe to one of the offered plans and receive a 7-day trial period. After the trial period is over, you will be billed automatically. Note that you can always cancel the service before that happens if you don’t find it to your liking. Basically, you’ll get a 100% free 7-day trial period to determine whether Private Tunnel meets your VPN requirements. Finishing off this Private Tunnel review, here’s a quick overview of the features that wowed us and the aspects of the service that could use some improvement. Our ratings are the result of an objective and independent evaluation of Private Tunnel, generating the final rating that reflects the overall quality of the company. Ratings may change as the service changes. Private Tunnel user rating based on 6 user reviews. Not the best speeds in the world, not by a long shot. I can use it on my laptop, phone and tablet at the same time and it doesn't slow my internet speed too much. We found 0 verified Private Tunnel discounts for April, 2019. There are no Private Tunnel coupons or discounts right now. If you like Private Tunnel but want to explore other options, take a look at our handpicked Private Tunnel alternatives below and find a similar VPN that satisfies all your needs. Discover the full range of possibilities Private Tunnel offers and become an advanced user in no time with our beginner-friendly Private Tunnel guides. Whether you are interested in secure torrenting, unblocking Netflix, setting up Private Tunnel on all your devices or you simply want to learn more about Private Tunnel, you can find verified information and clear instructions in our Private Tunnel guides below. Is Private Tunnel Safe? - testing the security mechanisms Private Tunnel put in place to ensure user safety and privacy.